Oatmeal is oatmeal is oatmeal. Yes? With the resurgence in popularity of this classic grain, we know that's not so. Oatmeal can be thick, cold and clumpy. (My granny used to make it early in the morning and leave it on the back of the stove for my mom and her brothers to eat much later. Eek.) Oatmeal can also be creamy, warm and delicious, with lots of flavourful and healthy toppings. I vote to eat it that way. 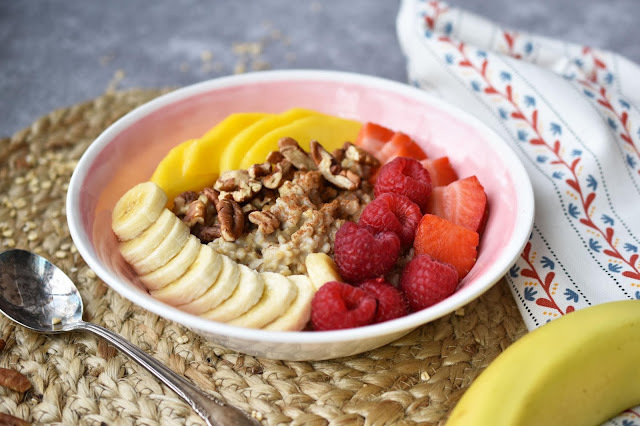 With that in mind, I'm sharing my simple recipe for steel-cut oats cooked up in the Instant Pot . There are endless ways to flavour your oatmeal - in this case I'm going with maple pecan. Because I'm Canadian. So maple syrup. 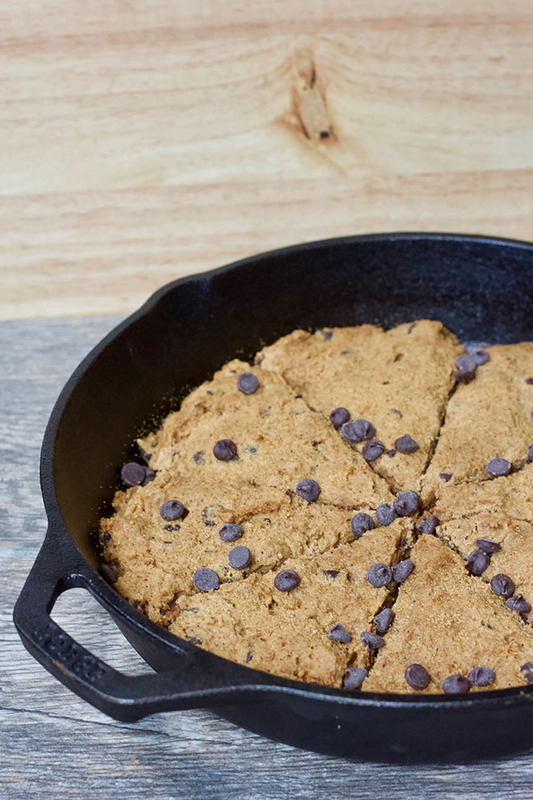 Plus, I've joined together with some vegan blogging friends to share six more amazing plant-based breakfast recipes. Trust me, they are mouthwatering. 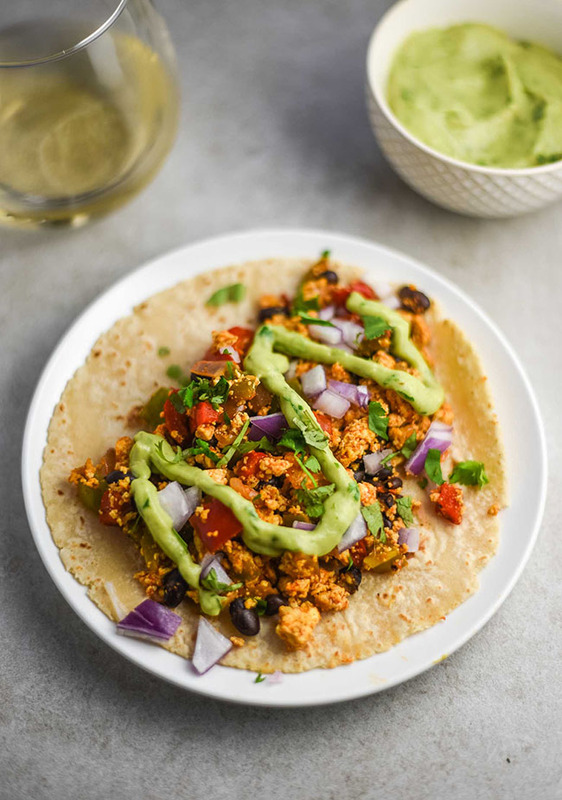 You'll want to get together with friends and make all of these recipes, for a fantastic vegan brunch. Do you like steel-cut oats or do you prefer quick oats? I'm somewhere in the middle. Luckily, with the Instant Pot , you can create oatmeal with steel-cut oats and still have it come out smooth and creamy like oatmeal made with quick oats. 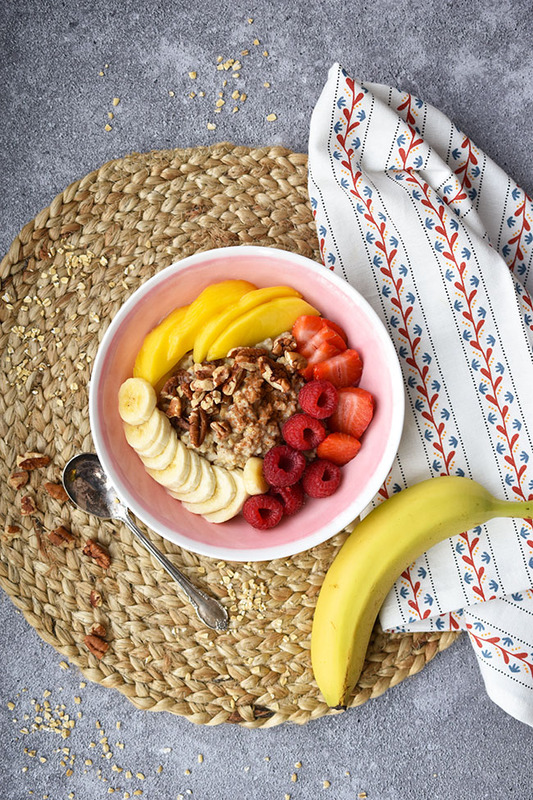 For this recipe, you'll simply add steel-cut oats to the Instant Pot, along with almond milk (or other non-dairy beverage), water, maple syrup, raisins (optional), vanilla and salt. It will look like too much liquid (above) but not to worry, the milk and the water will get absorbed, leaving delicious, creamy oatmeal. Set the Instant Pot to cook for six minutes. For those who are new to using the Instant Pot, please be aware this doesn't mean your oatmeal will be ready in six minutes. The cooker needs to build up pressure before the cook time begins (and the timer counts down). After the cook time is over, the timer will start to count up. This occurs while the pressure in the pot is going down. You can release it manually with the steam release nozzle, however for some recipes, like this oatmeal, it's better to let the pressure naturally release for 15 or 20 minutes (to allow the oatmeal to thicken). In total, the oatmeal will be ready in 30 to 35 minutes. The real benefit of using the Instant Pot isn't time-saving in this case. 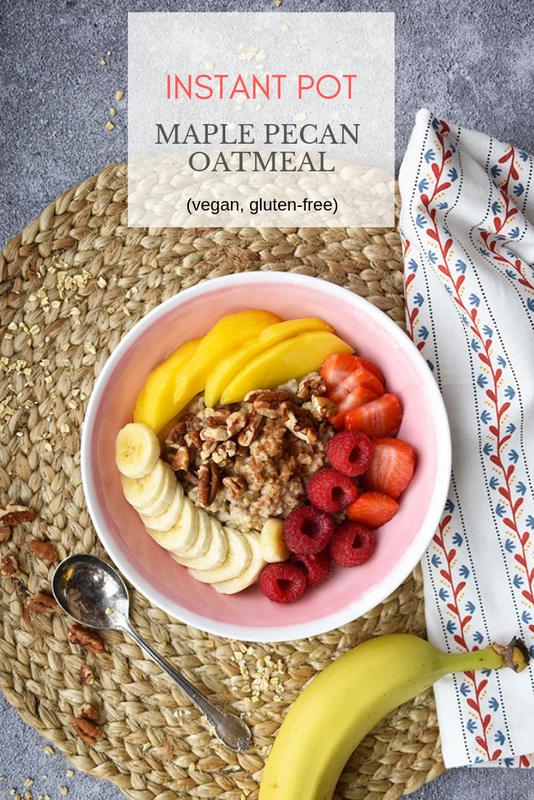 It's more that you can set your oatmeal to cook and then go away and make the other tantalizing vegan breakfast recipes, below, while it's cooking. 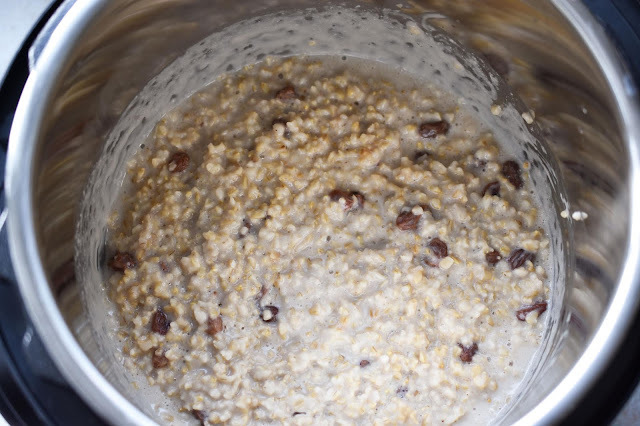 Once the cycle is complete, this is what your oatmeal will look like. Thick, creamy and tasty. Then comes the best part - the toppings. Sprinkle on cinnamon and top with pecans and more maple syrup to complete the recipe. Then add whatever other toppings you like - sliced bananas are a classic choice, along with berries - I used raspberries and strawberries here. I also had fresh, ripe mangoes on hand, so I added sliced mango on top of the maple pecan oatmeal as well. I also like to top my oatmeal with more non-dairy milk. 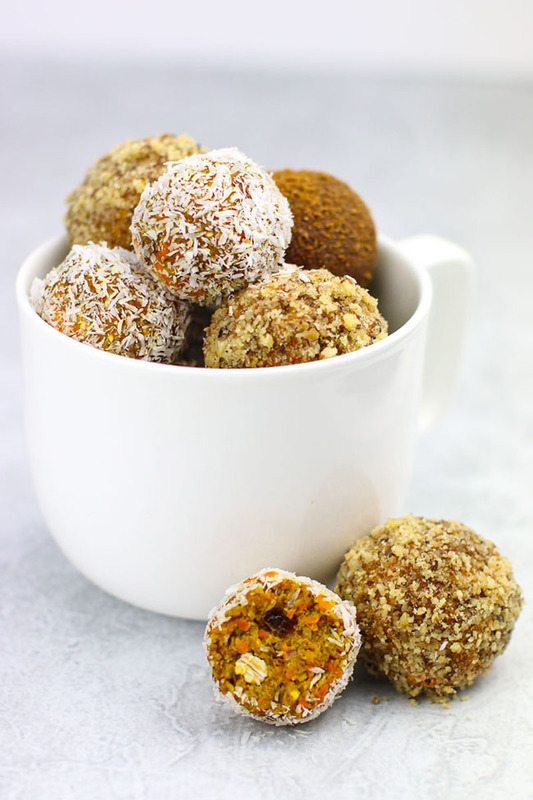 Other great choices are blueberries, chia seeds, sliced almonds, walnuts and ground flax. Besides being a wonderful vegan breakfast choice, this oatmeal is also gluten-free (as long as you source oats that are uncontaminated by other grains). I tend to choose steel-cut oats more often because they are less processed and have more fibre content than rolled oats. They have a lower glycemic index value as well, so they digest more slowly and may keep you feeling full longer. But rolled oats are a nutritious, whole grain choice too, perfect for a nourishing breakfast. Do you prefer steel-cut or rolled oats? 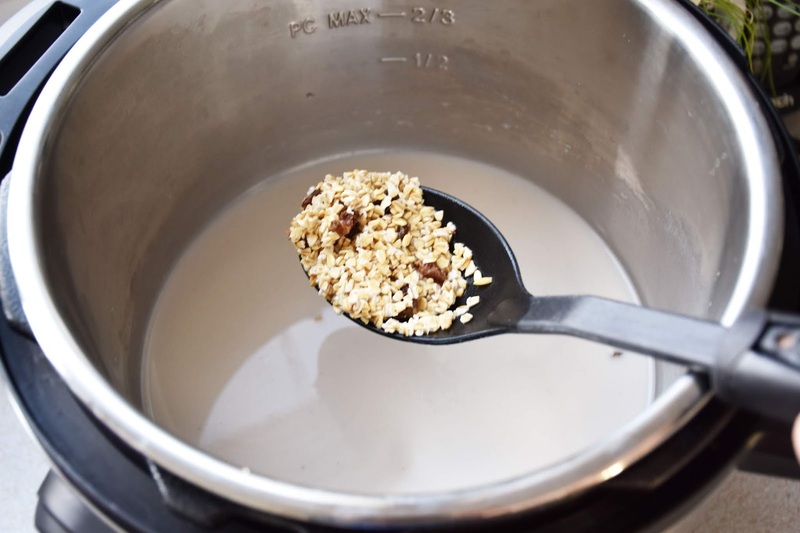 Have you made oatmeal in the Instant Pot? 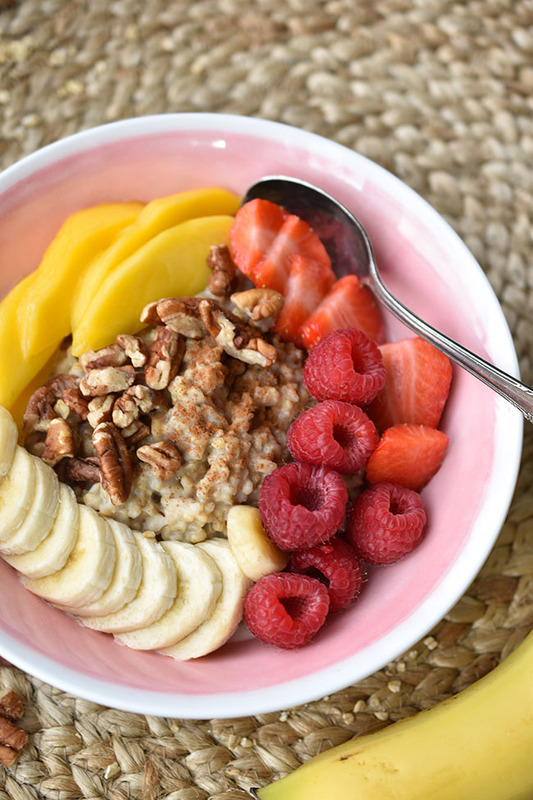 What are your favourite toppings for oatmeal? Add all ingredients, except cinnamon and chopped pecans, to the Instant Pot. Close and secure the lid and ensure the steam release nozzle is set to “sealing.” Press “pressure cook” and reduce the cooking time to 6 minutes. 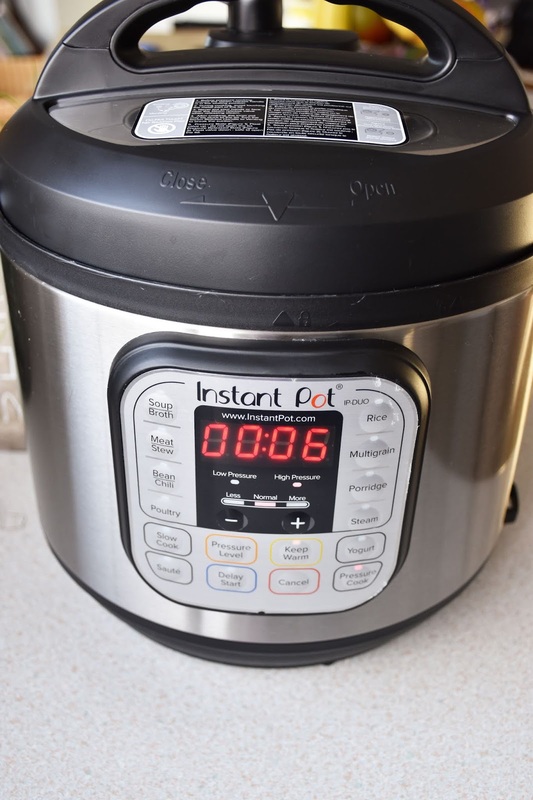 In a few seconds the screen will change to “on.” The Instant Pot will take time to pressurize before counting down the 6 minutes of cooking time. Once the cooking time is over, the timer will start counting upwards during the keep warm phase. Allow the timer to count up to 15 or 20 minutes for a natural pressure release and to give the oatmeal time to thicken. Carefully turn the steam release nozzle to “venting,” keeping your hands and face away from the holes in case any hot steam or water is released. Stir oatmeal, transfer to bowls and top with more maple syrup and more non-dairy milk (if desired). Sprinkle with cinnamon and top with pecans. Add other toppings, such as strawberries, bananas, blueberry and mango slices, as desired. 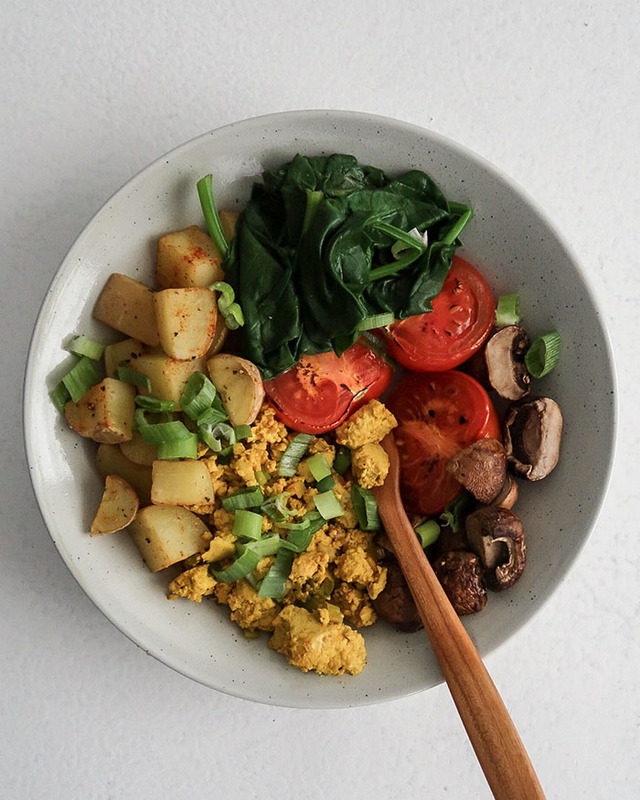 Here are six incredible plant-based recipes for your next hearty breakfast or brunch. 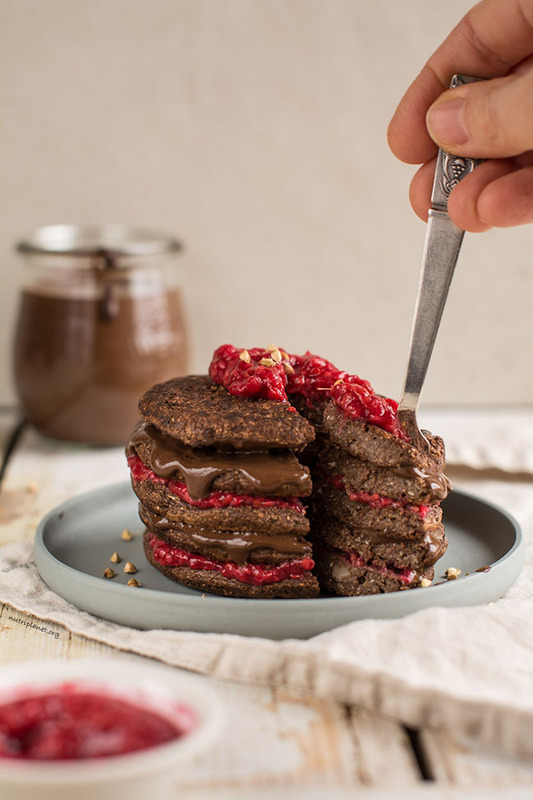 We start with two beautiful, healthy pancake recipes, because who doesn't love pancakes? There are also two amazing tofu recipes, an outstanding portable carrot cake bite and yummy chocolate orange scones. I want it all! Potluck anyone? Thank you!!! I know, right? So friggin cold! I’m enjoying the Insta pot you gave me joann. The rice came out well but, I had enough to feed the neighborhood. Another day I tried stew. The timer kept going up and down so I eventually just pulled the plug. However the stew was delicious and I will continue to use the pot often. 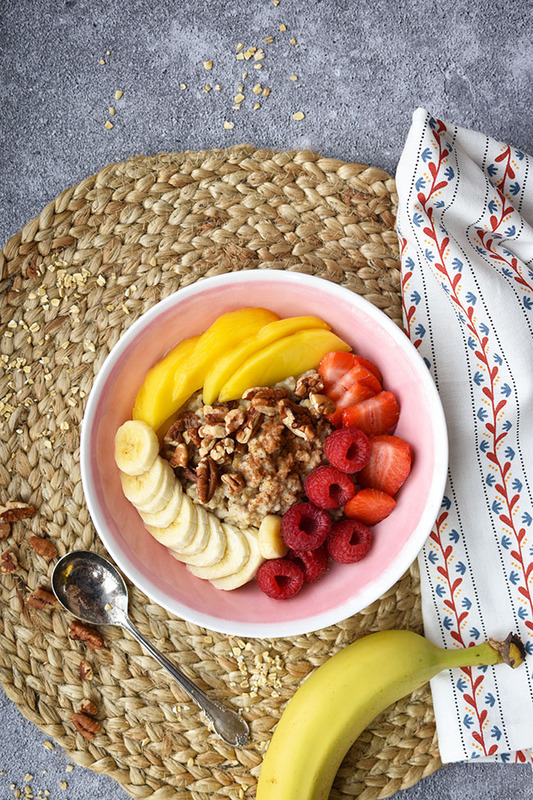 Your IP Oatmeal is so pretty, it looks like breakfast at a fancy spa resort! So sad that most non-vegans don't know just how well we eat! I'd take any of these breakfasts, any day. Yumm these oats look delicious and so comforting for these cold winter months! Thanks so much Rosa! I'm looking forward to warmer weather. Oat porridge must be one of the most comforting breakfasts ever! Love all those recipes! 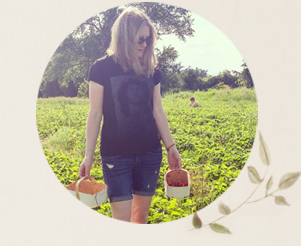 I am ALLLLLLLL about my Instant Pot!!! 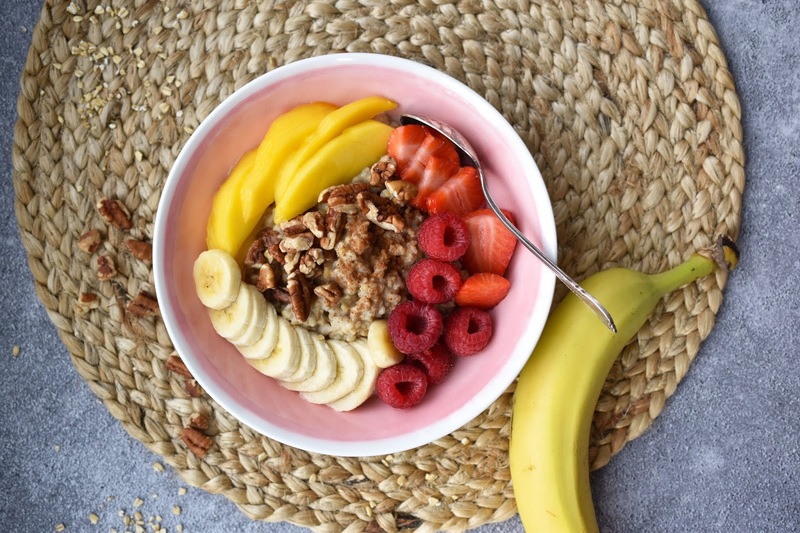 I love making big batches of steel cut oats for the week in it...but this recipe sounds so much better and more flavorful!! Cannot wait to make it this week. I'm excited to try this in my Instant Pot! it looks like there are so many things that you can do with an instant pot! I need to get myself an instapot! I recently purchased a IP, will have to try this recipe. I love the sounds of the IP for it's speed - BUT as a vegetarian, did you find there are enough recipes to make to jusitify using one? Everything I see is meat based! I was worried about that too before I got it. I am still experimenting but I like it for cooking beans from dry, because you can leave them unattended. I got a good deal on my IP before Christmas, and I just love kitchen gadgets, so it's worth it for me. But I'll definitely be searching for more vegan recipes and creating some as well. 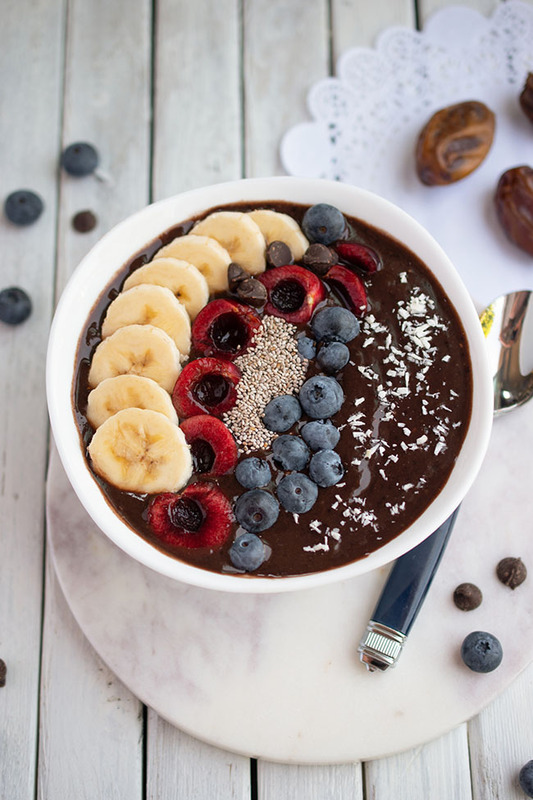 This sounds like such a delicious, healthy breakfast! Love it! I've never made oatmeal in my instant pot, but have made it overnight in my slow cooker many times.